PRESSURE SPRAYER GLORIA PRIMA 42E 5L. EXIT 100 is a substance in the form of water- oil emulsion. It is especially useful in elimination of flying insect (like mosquitos, black flies ando other season insects) with fogging method. 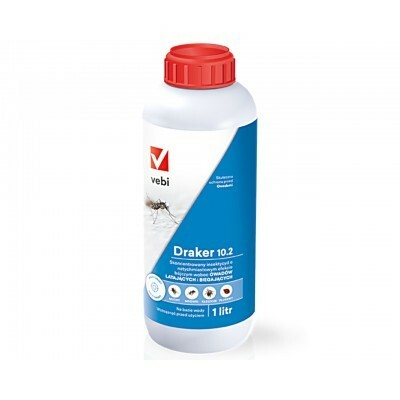 To eliminate flying insects ( like flies, mosquito, moths, etc. ), and rapid running insects (silverfish, bedworms, beetles, ants, cockroaches etc.) as well as fleas and wasps nests. Proportion should be 1/100- one part of the product, 100 parts of water and spray 100-150 square meters of surface with five liters of the diluted product. Proportion should be 1/200- one part of the product, 200 parts of water and spray 100-150 square meters with five liters of the diluted product. The room can be used by people and animals: after 50 minutes. 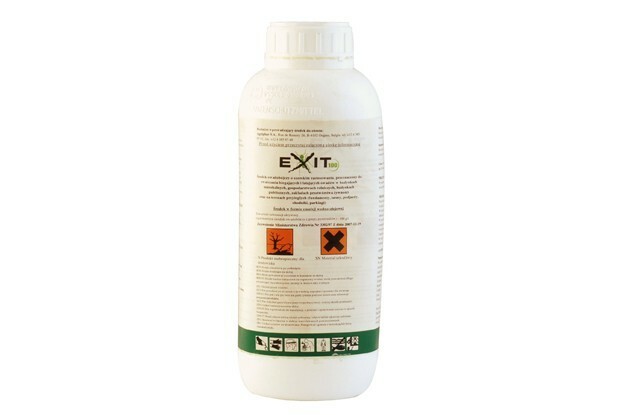 Mix 1 liter of Exit 100 with 200 liters of water. 10 liters of liquid is sufficient to spray 300 square meters of the surface, so with 200 liters of the preparation, one can spray 6000 square meters of the surface.